We provide the best solutions to the education industry. We started as an RTO, so we know what’s best for RTOs. We hold a love of learning close to our heart, and strive for authenticity by practising what we preach. Our innovative student management system is run entirely from the cloud, keeping enterprises Australia-wide compliant and efficient. 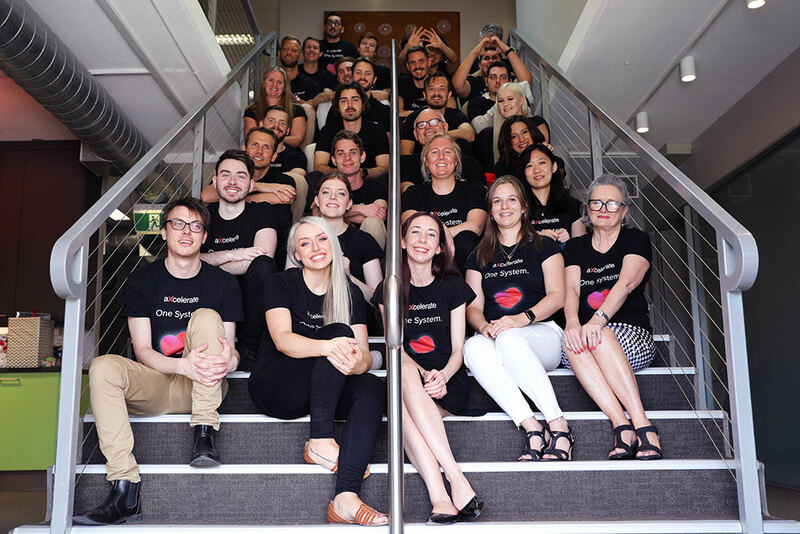 aXcelerate has its origins in Brisbane-based learning and development company VM Learning, which for over 20 years delivered personal effectiveness skills to 40 000 learners. Originally developed to manage VM Learning's own students, it quickly became clear that aXcelerate was a product that could benefit a broader range of organisations. In 2008, aXcelerate was made commercial, and is now the chosen student management software for more than 600 diverse RTOs across Australia. No other student management system in Australia offers software with as much functionality as aXcelerate. Our two latest features—the online assessments portal and the trainer matrix—go above and beyond other industry solutions. We understand that student management can feel daunting in Australia's strict compliance environment, which is why we're committed to simplifying the process with our highly-integrated system. We're on the brink of big change. Our team is growing, but we're still nimble enough to adapt to large revisions. Our focus on learning and research means we can be smart about change. We’re open to new ventures, and receptive to self-development. We recognise that what we've created here at aXcelerate is something unique and useful, and we're ready to take our diverse single system to the global market to make compliance, student management, and CRM an easy task for RTOs everywhere.